what a difference a week can make! A couple weeks ago, my friends Laura and Tim, along with Laura's mom and brother came over for a little camera class! We went over main camera functions, metering and focus points, worked on shooting in manual, and admired Laura's belly. Not even a week later, Titus Timothy was born. He is just precious, and so loved by his family. 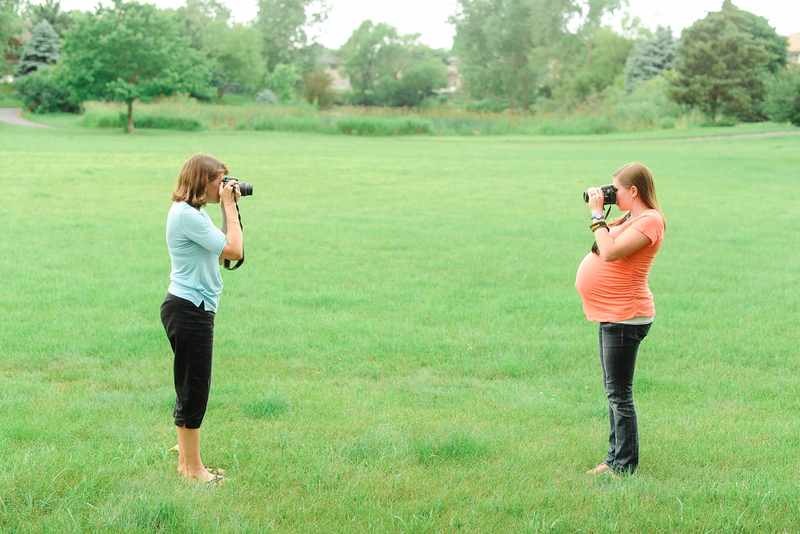 So, last night I shot the most adorable, quick, late on a summer day maternity shoot. Perfect light and the cutest mama. But even though I love how the photos turned out, there's always more to a shoot than that. The stories behind the photos, the peoples' unique personalities and lives make the photos that much better! So, thanks to how easy square space make things, I'm trying this blogging thing once again! This is Julie. She is beautiful inside and out. Also, the photo below might be one of my favorite photos I've taken. Ever.